Story Bridge Hotel is an iconic, family owned since 1967 Brisbane hotel situated right underneath the Story Bridge. With 5 bars, 4 dining areas, gaming lounge, TAB, detached bottle shop and 9 function spaces they have something for everyone. 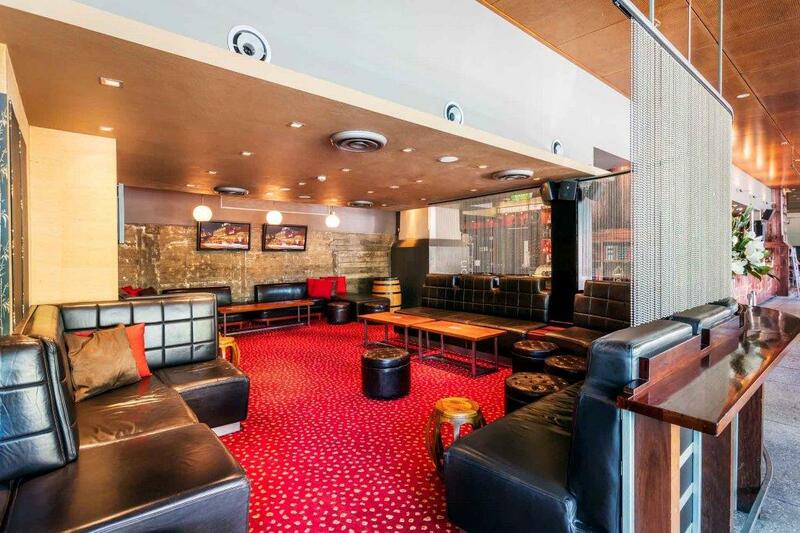 Having started life out as a remnant bomb shelter, the Story Bridge Hotel’s aptly named Shelter Bar was always going to have a powerful impact. For decades, the Shelter Bar has held a special place in Brisbane’s pub scene and has been graced with an aesthetic overhaul which leaves other venues way back in its wake. The Shelter Bar is now a deluxe indoor and outdoor venue where beer, wine and cocktails are a plenty, and fine food lure vibrant crowds. Nestled right beneath the Story Bridge you can move outside for sunshine or stars at night or inside to watch a big game. 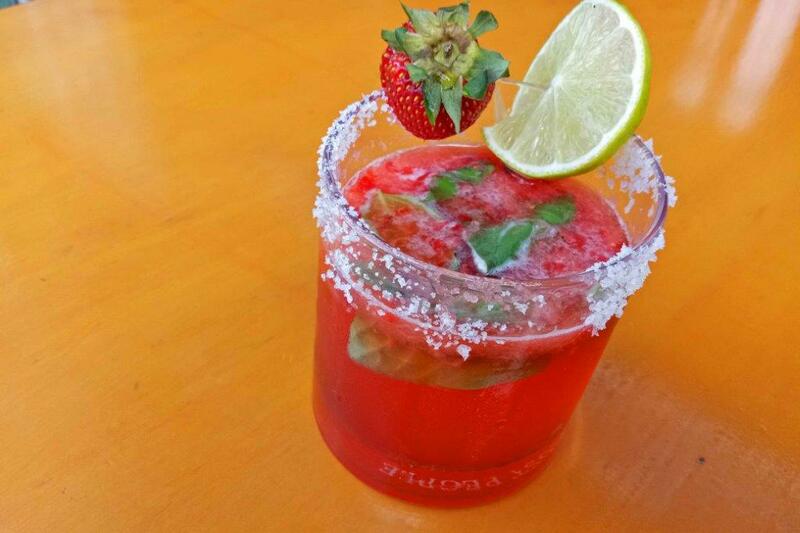 At the Shelter Bar you can dine in on a Sopressa Pizza, Pork Knuckle Tacos, a Black Angus Rump or Barcoo Rib Fillet. This is not just any old pub grub. After work live music between 5pm and 9pm is now a staple. Exceptional DJs take control of the dance floor every Friday night, Saturday night and Sunday afternoons. 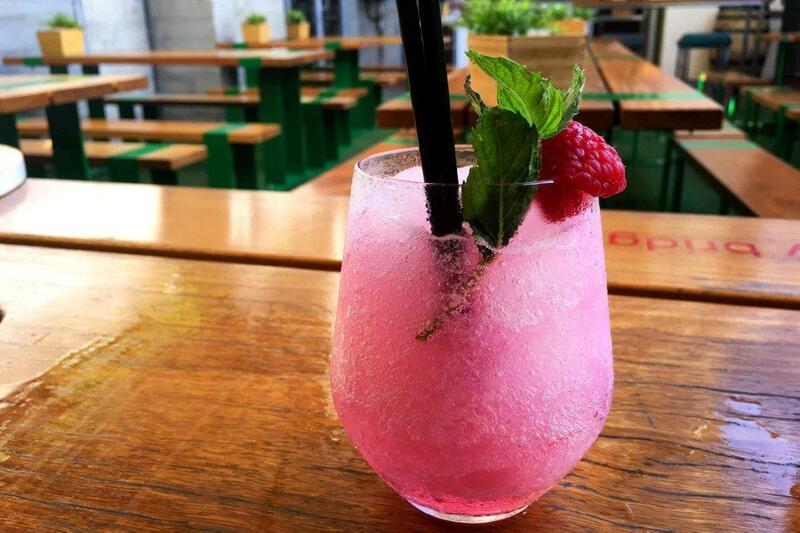 Friendships are born and fortified in the Outback Bar & Grill at Story Bridge Hotel. The open barbeque-style tables invite companionship and conversation, and the bar is stocked with first class local, craft and international beers. The Story Bridge Hotel also prides itself on offering a prodigious and eclectic wine list that pleases every palate, from the occasional drinker to the grape aficionado. 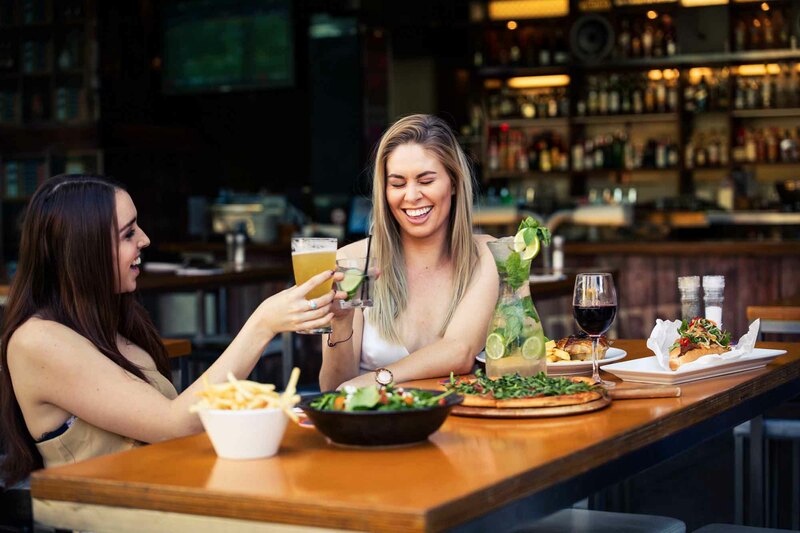 Proving that beer gardens hold a timeless place in Queensland’s pub culture, the Story Bridge Hotel’s Outback Bar & Grill ups the ante, delivering a whole new benchmark to an age-old concept. Picture yourself parked underneath the Story Bridge, sun streaming in, or stars dazzling bright, indulging in a fine wine or a crisp beer to loosen things up. Head down for a Sunday Session where from 3pm to 7pm you’ll hear vintage jazz and blues…what better way to end a week/bring in the next. 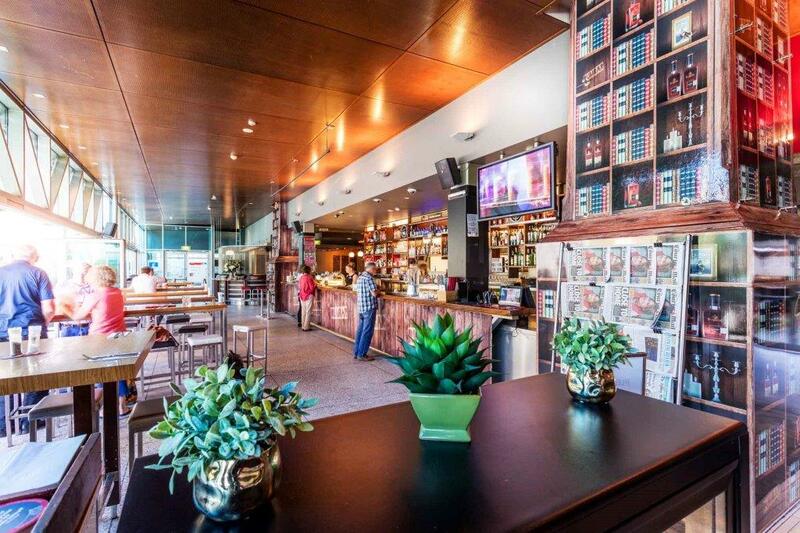 The Story Bridge Hotel’s Corner Bar is a cosy, quintessential Aussie bar where steadfast locals, newcomers, travellers and party people all come together for a quiet daytime drink or big time party to let their hair down. Everyone has a place in the Corner Bar, every day of the week. All major sports matches and weekly cricket, NRL and AFL games play on a series of big screens and the Corner Bar has evolved into a highly-regarded live music venue with bands playing between 9pm and 1pm Friday and Saturday nights with fresh and unique gigs always in the making. Stepping into the Main St Bar & Eatery is like arriving in three places all working together seamlessly to create one splendid venue where fine food and drink take centre stage, every day. 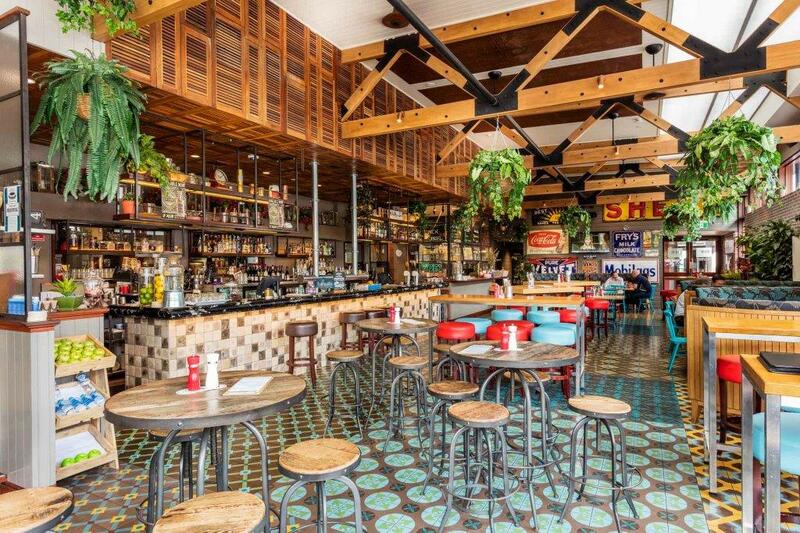 Tall ceilings and streaming sunlight set off the vibrant shades of the décor where colourful chairs, booths, benches and vintage motoring advertisements make this streetside special a high calibre, casual port of call. 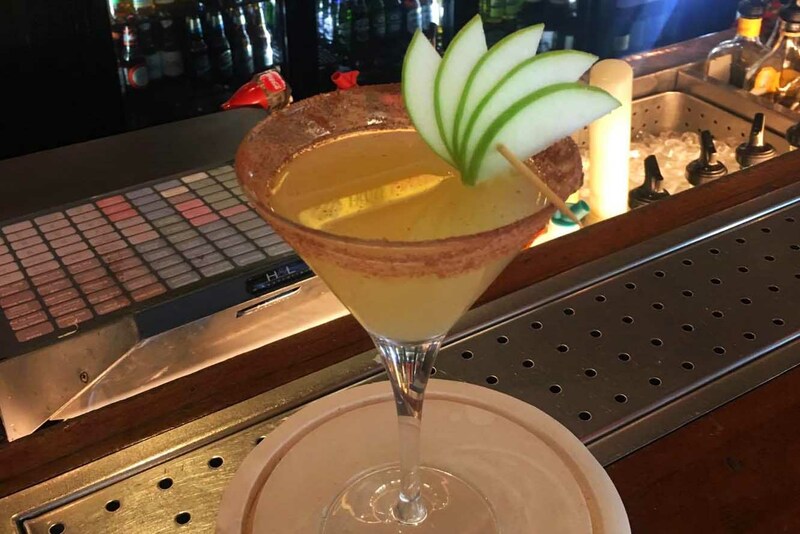 The celebrated Deery’s Restaurant & Smokehouse at the Story Bridge Hotel is famed for its distinguished yet accessible beverage list. The Deery’s Wine Room is a showstopper. Established in 2004 there are more than 100 local and international wines to choose from, many of which can’t be found anywhere else in Brisbane. From vintage, rich or peppery reds to dry, sweet and sparkling whites arriving from some of the finest local and global vineyards, Deery’s is yet to fail anyone on quality in any price range. Of course with wine, there must be food and Deery’s is renowned for its suite of signature steaks which have all been cut and prepared on-site, along with a range of dishes to stimulate all 5 senses. 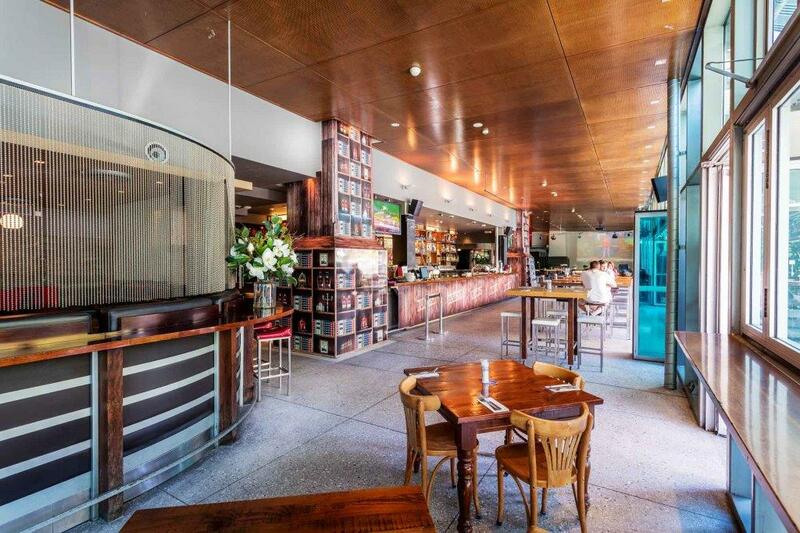 There’s no other wine and dining venue in Brisbane quite like Deery’s Restaurant & Smokehouse. If it is fine food, drink and a festive spirit that you are looking for, then you will be in your element here. *Deery’s Restaurant is open 7 days a week from 12pm - 3pm for Lunch and 6pm - 10pm for Dinner.